A plea from the South Pacific has been made under grey November skies in Germany. Fiji says it is facing soaring costs to protect itself from climate change and has called on the world to do more to curb carbon emissions. It is the first small island state to preside at UN climate talks since they began in the 1990s. 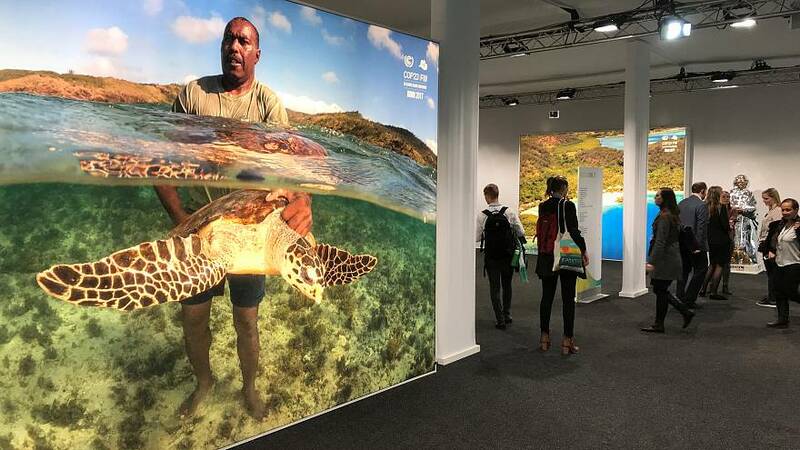 And Fijian canoes, dancers, huge photographs of palm-fringed islands and flowers have enlivened the COP23 conference centre in the German city of Bonn. “Unfortunately there are some countries that perhaps bear more of the burden in respect of being the victims, or the frontline I should say, the coal face of climate change,” said Fijian Attorney-General and Economy Minister Aiyaz Sayed-Khaiyum. Small island states have often felt overlooked by big powers even though they are on the frontlines of a rise in sea levels that is causing more storm surges, washes salt onto cropland and could swamp some low-lying coral islands. Indonesia also knows what it means to be on the climate change frontline. Its delegates attending the negotiaions told Euronews they want a greater focus on ocean protection. “We are a large archipelagic state,” said Arif Havas Oegroseno, Indonesia’s Deputy Coordinating Minister on Maritime Sovereignty. The talks in Bonn, to write a rule book for the Paris climate accord, have been overshadowed by what to do after President Trump decided in June to withdraw the US from the pact, instead preferring to promote coal and oil.